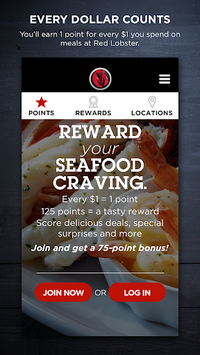 Earn points toward delicious rewards every time you eat at Red Lobster. You’ll earn 1 point for every $1 you spend on meals at Red Lobster. Score 75 bonus points when you sign up with the app. That’s just 50 points away from your first reward! 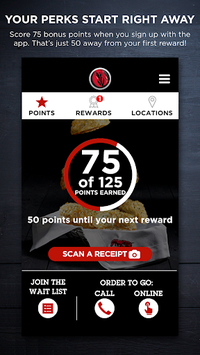 Just scan your receipts with the app, then watch your points add up to free rewards. Every time you reach 125 points, your reward is up to you. Choose 1 of 3 tempting options. Members are the first to hear about Red Lobster offers and events. 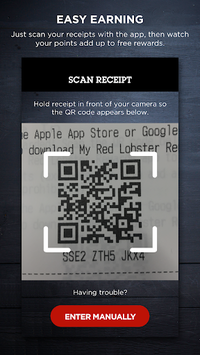 Use the app to find the closest Red Lobster, join the Wait List, order Red Lobster To Go and explore our mouthwatering menu. • General improvements and bug fixes.